Why choose synthetic fibre when you can have leather? We’ve always said that. 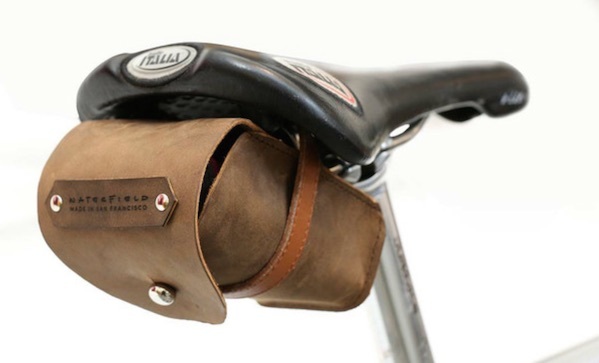 That’s why we like this Rapide saddlebag ($60). It straps right under your seat, which is nicely out of the way. It also comes with a little tool roll, which holds and organises anything you’d need out on a ride.